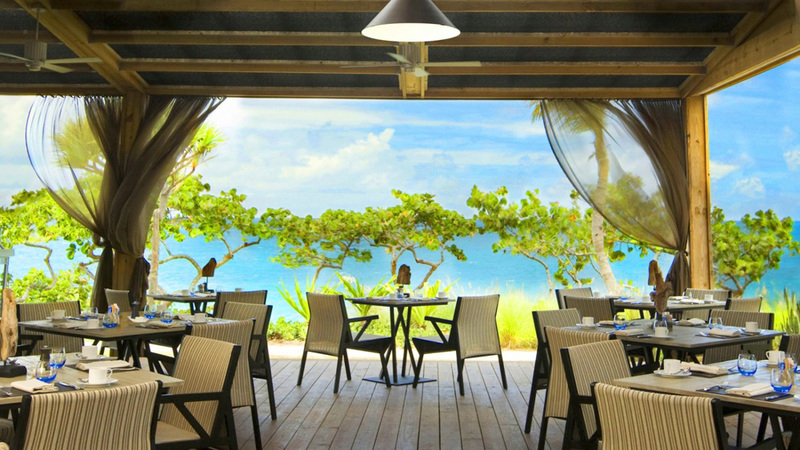 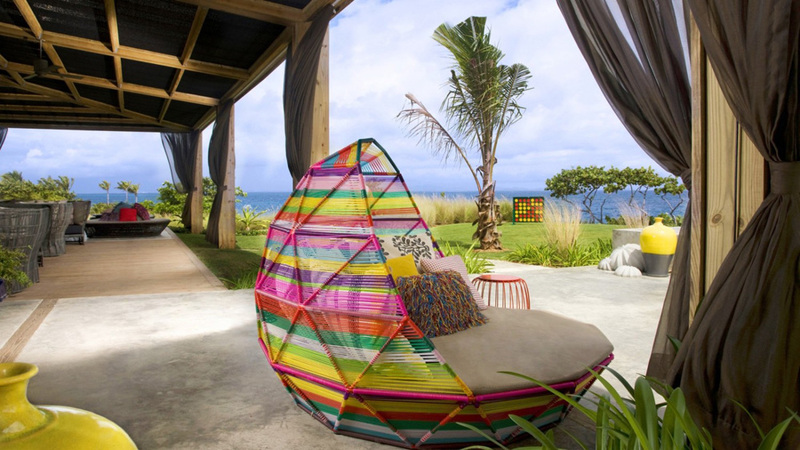 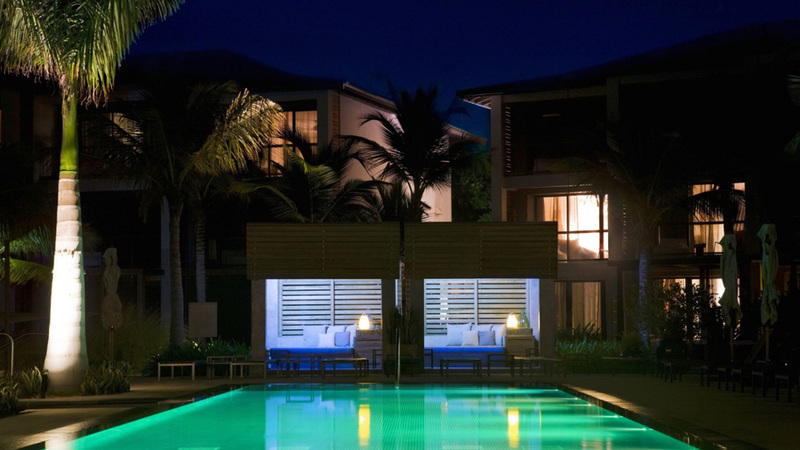 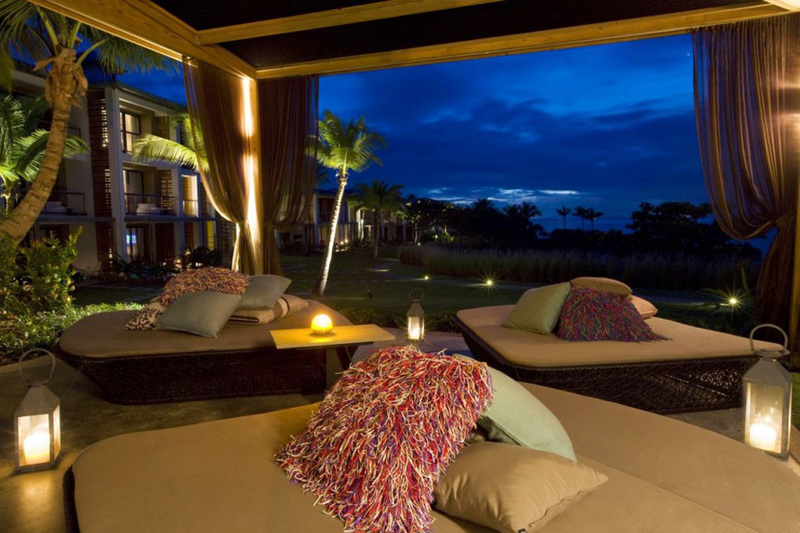 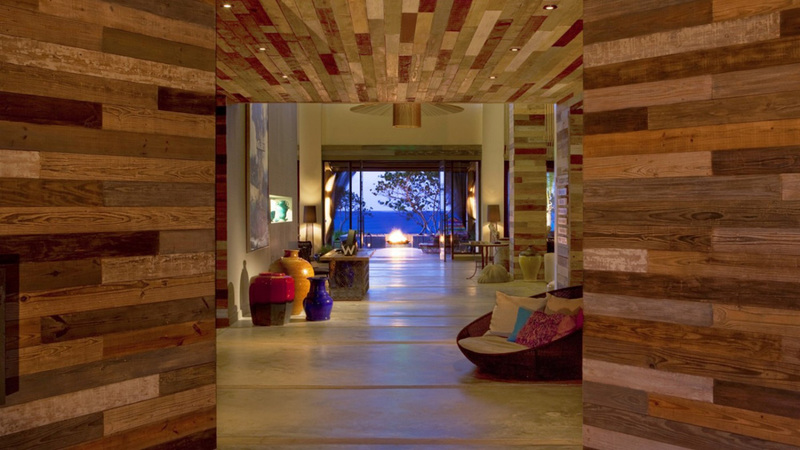 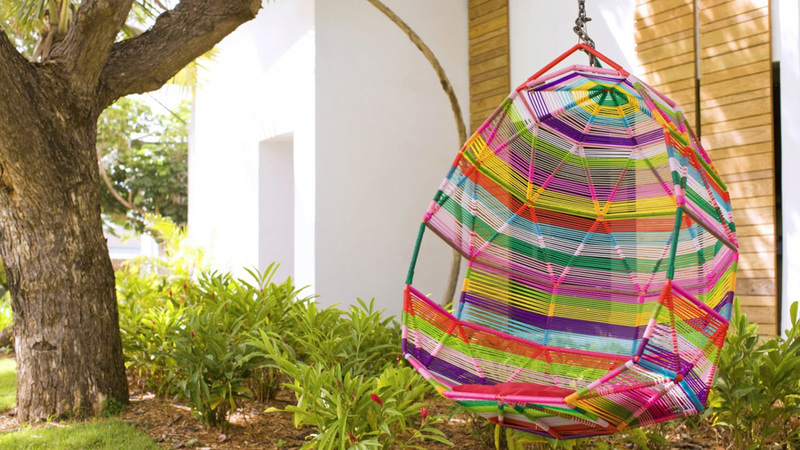 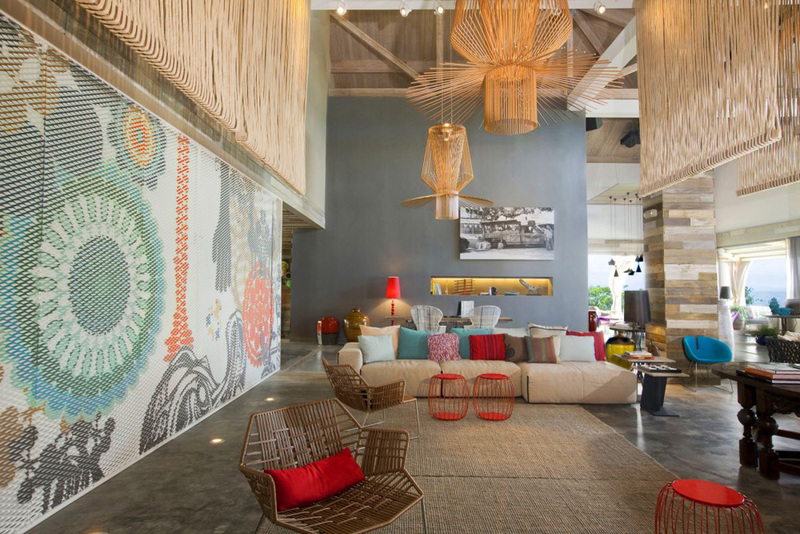 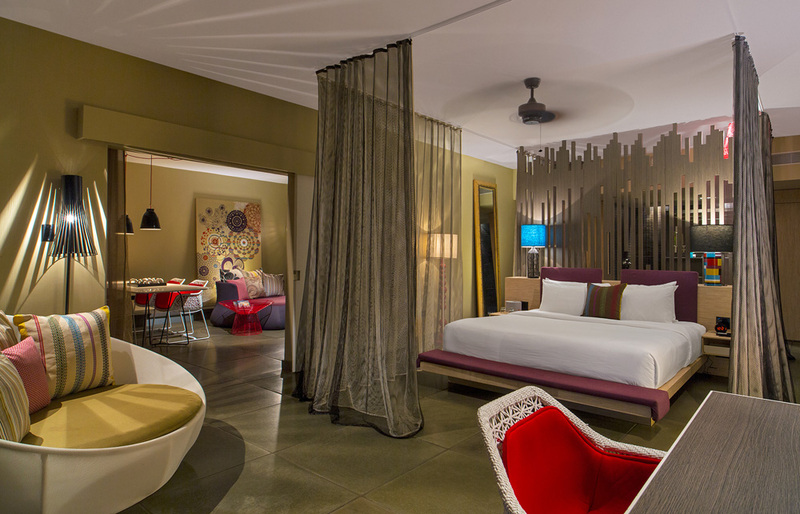 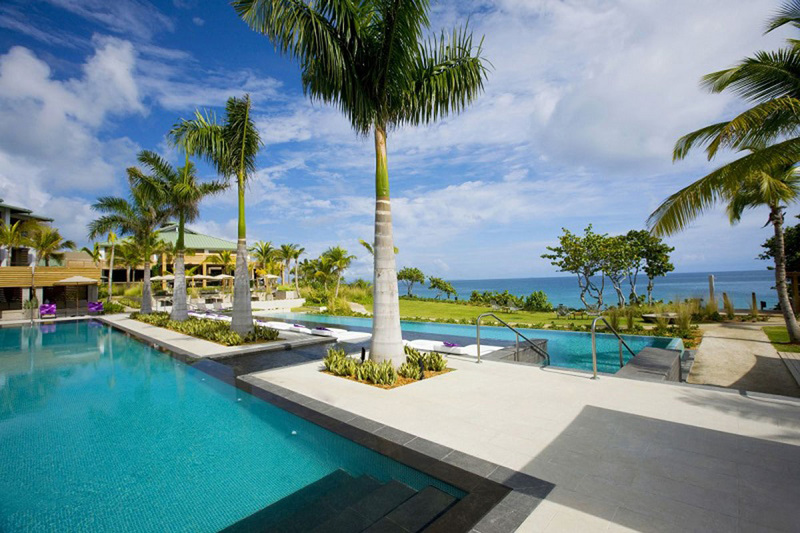 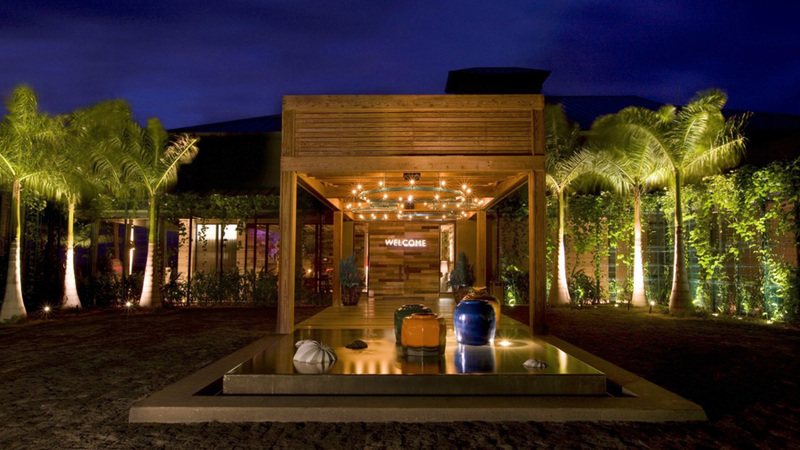 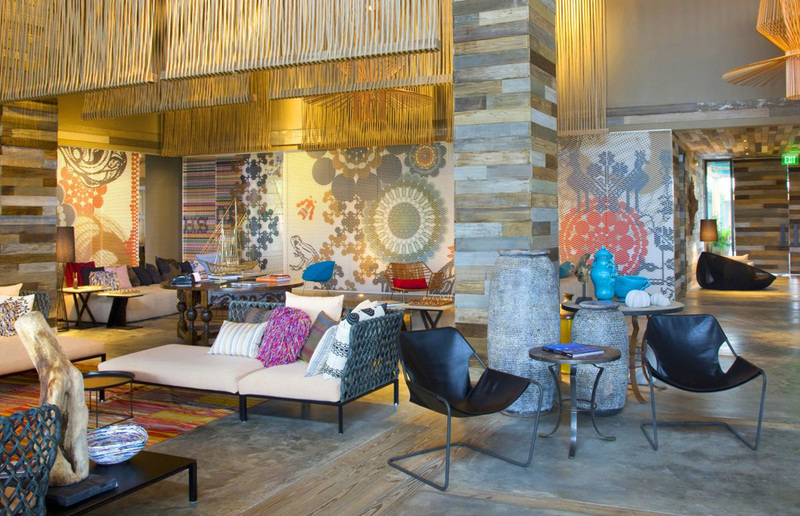 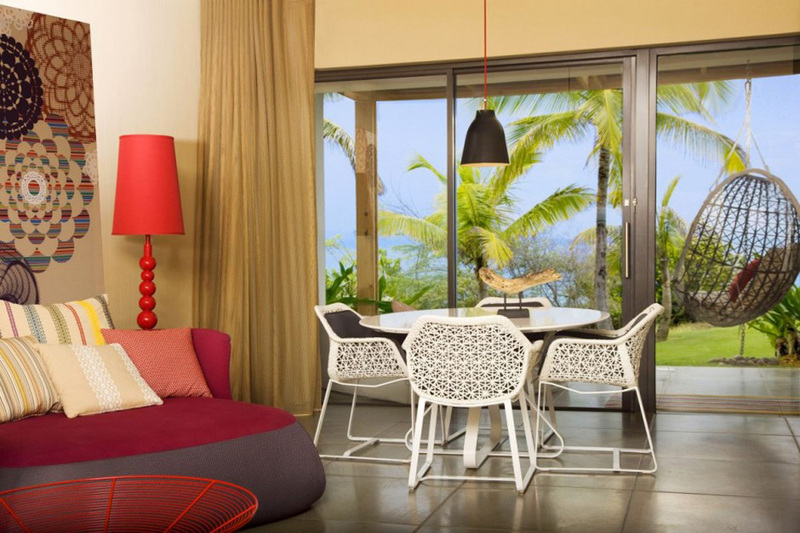 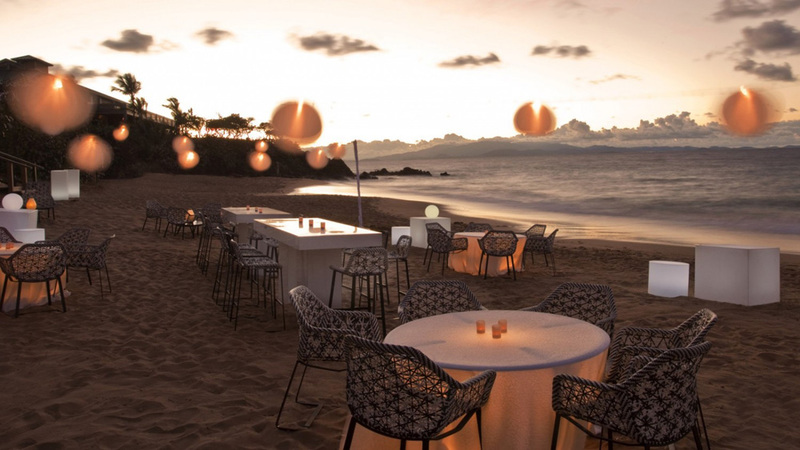 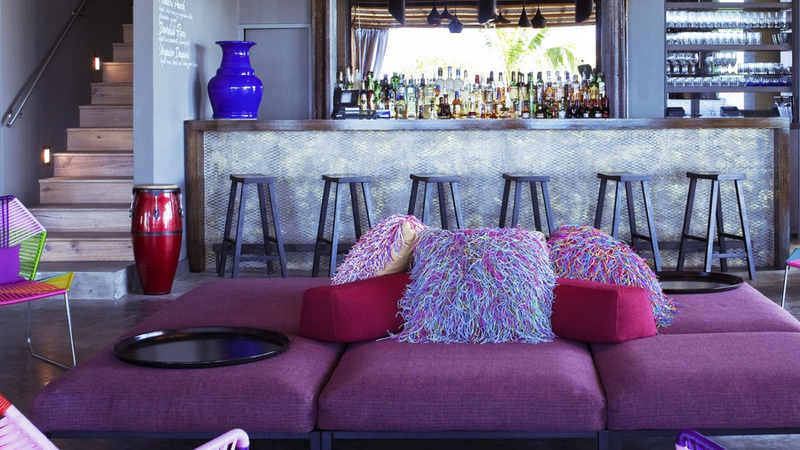 The W Retreat & Spa Vieques Island is a stylish luxury resort located eight miles off the Southeast coast of Puerto Rico, on the small secluded island of Vieques in the Caribbean. 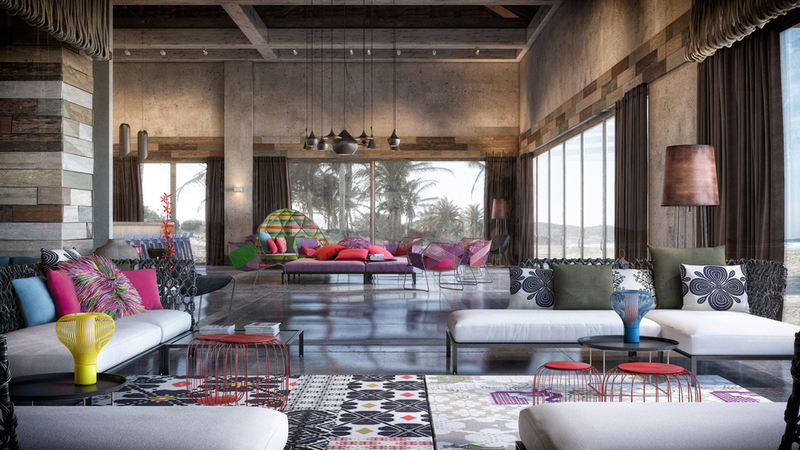 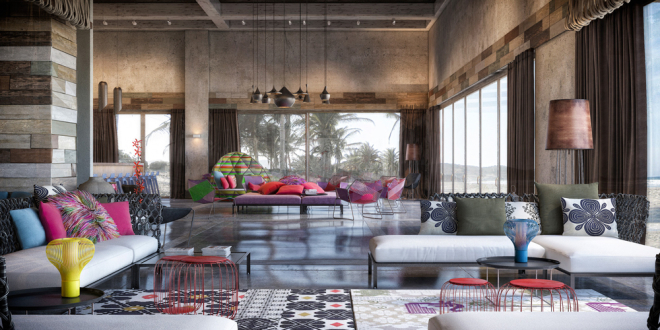 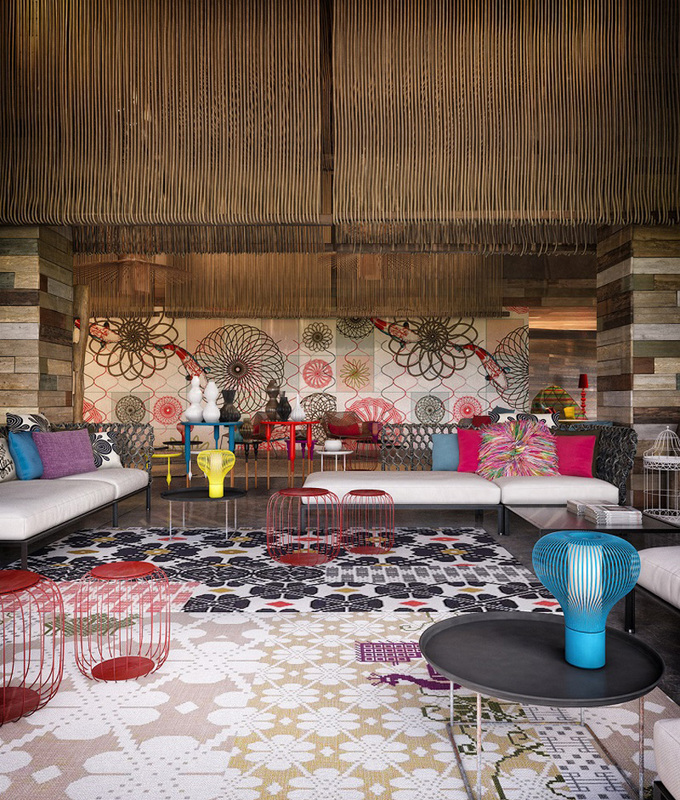 The architects and designers from The Studio Rockwell Group Madrid designed public spaces, a spa and a restaurant that introduce a welcoming rusticity to the remote island retreat in collaboration with the superstar designer that signs the interiors of this resort – Patricia Urquiola. 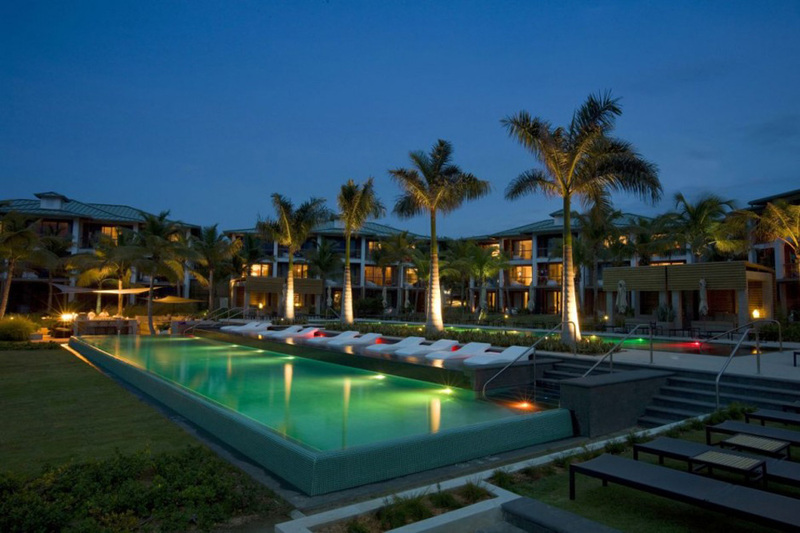 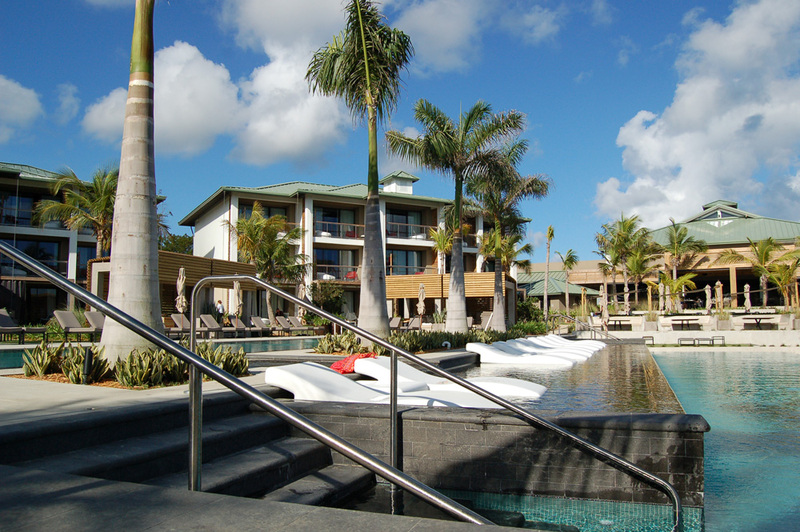 The luxurious W Retreat is a sophisticated paradise oasis with spectacular accommodation in an idyllic location that offers plenty of opportunities to enjoy on the sandy beach with sunny surroundings. 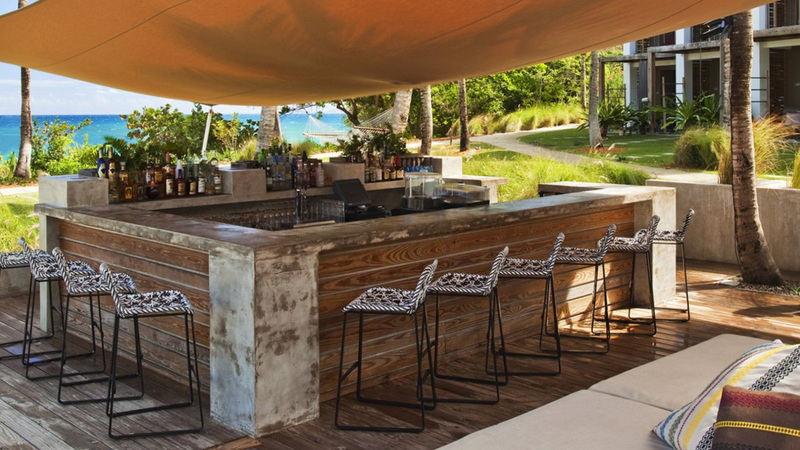 This resort has 157 stylish guestrooms and suites with private patios, balconies and private pools, each of them covered with pergola and outdoor shower, offering unparalleled views of crystal waters. 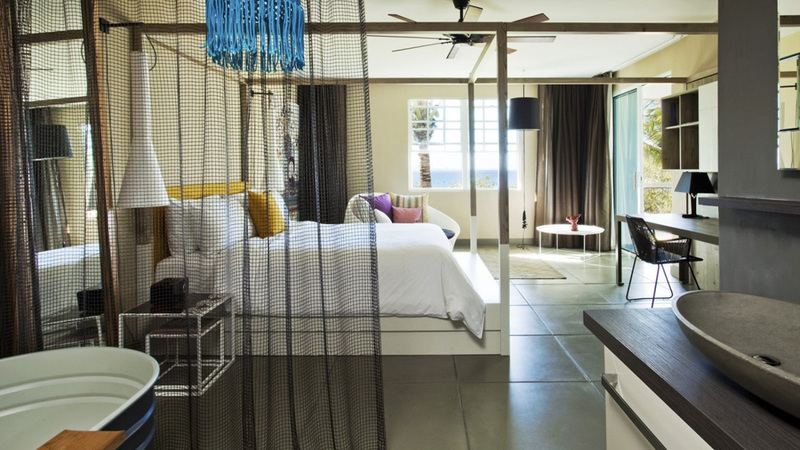 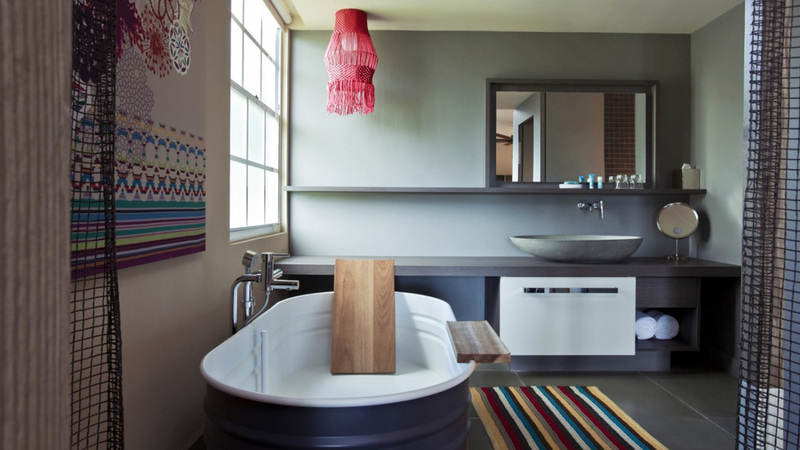 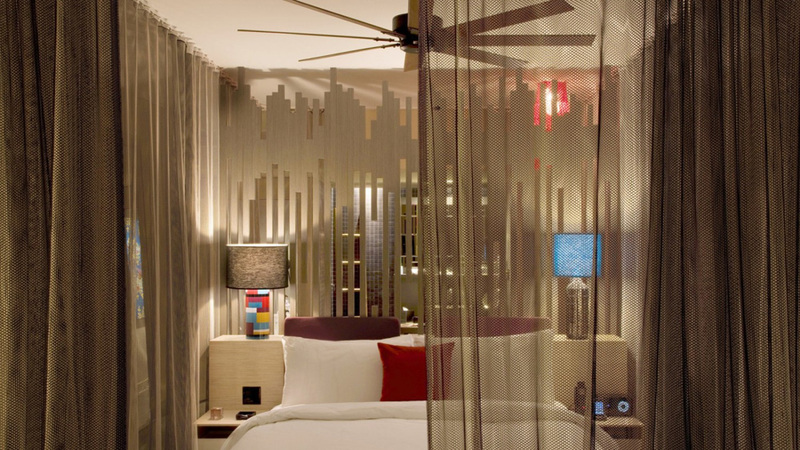 The guestrooms have mix of colors – beige and tan elements, living spaces and sleeping areas are delineated by a thin, taupe curtain, and also in some rooms there are glass panelled flooring to admire the ocean below it. 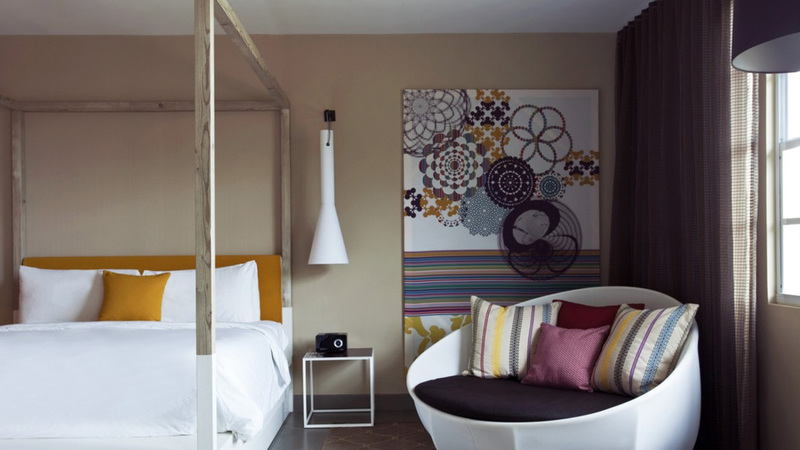 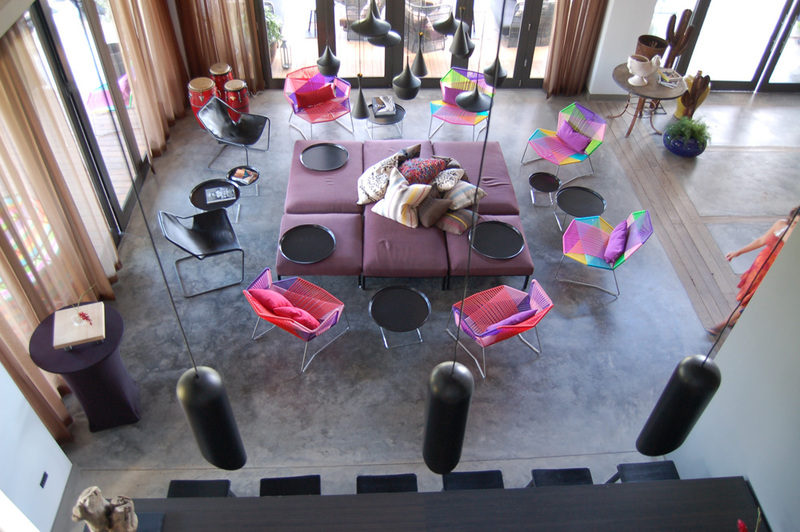 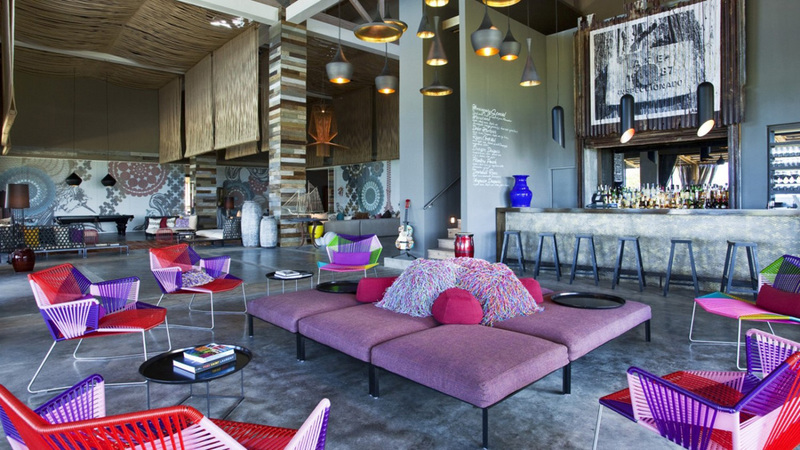 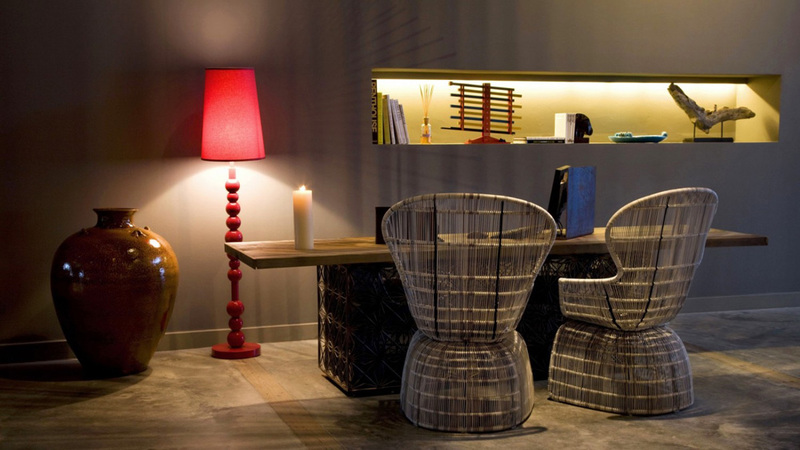 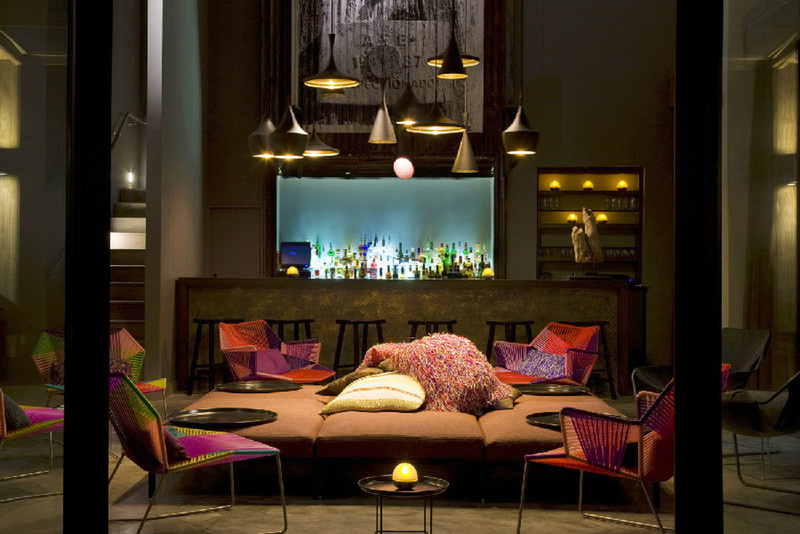 Some of the furniture pieces that are decoration in the rooms are: armchairs “Cansat” from “B & B” Italy, colorful hanging chairs on the balconies “Cocoon” from “Moroso”, photographic works from local Puerto Rican artists combined with eclectic pieces from other design stars such as Marcel Wanders and Tom Dixon. 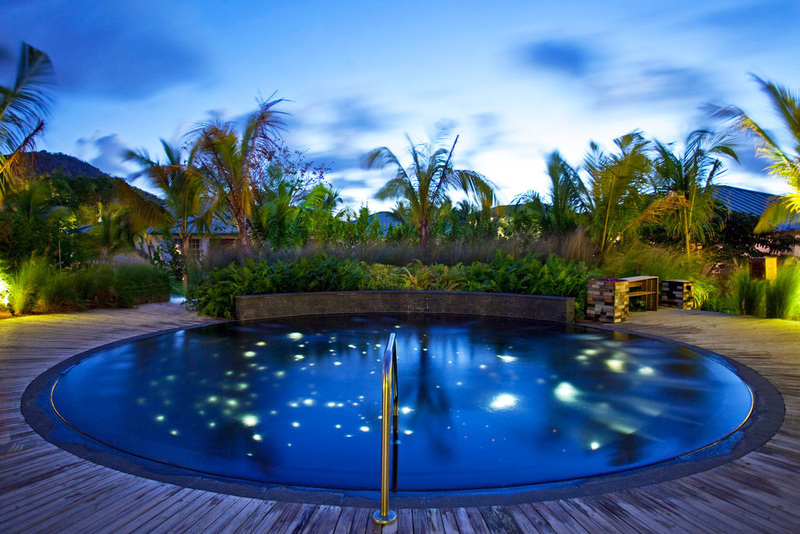 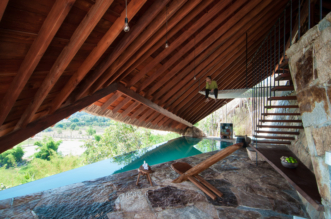 This 13 acre getaway is surely a not to be missed a new vacation destination for everyone!